The sample menu adds interesting and tasty dish recipes. The menu is designed as a 14-day meal plan and includes low carb snacks and meals for breakfast, lunch, and dinner. Eating the same foods can lead to diet boredom, making it more difficult to stay on a diet. Unfortunately, once culinary boredom sets in, dieters develop cravings and go on a quest for forbidden foods. This leads to poor food choices and quick weight gain. The key to banishing diet boredom is adding variety to one's diet. Dieters should think of variety as an ally that helps them to venture into uncharted culinary territories. Eating the same foods day in and day out is not only nutritionally unwise, but makes it more difficult to tame temptation. 1. Heat the oil in a skillet and fry the peppers and onion until softened (about 8 minutes). Stir in the tomatoes and season. Stir in the eggs, salt, black pepper, olives and basil. 2. Reduce heat and cover the pan, cook for additional 4 to 5 minutes. 1. Heat the oil in a soup pot over medium heat and add the onion. Cook until soft without browning and add the rest of the vegetables. Add some of the vegetable broth and cook until the vegetables begin to soften, about 8 minutes. 2. Add the beans, the vegetable broth or the water. The vegetables have to be covered completely so you can add more water if necessary. 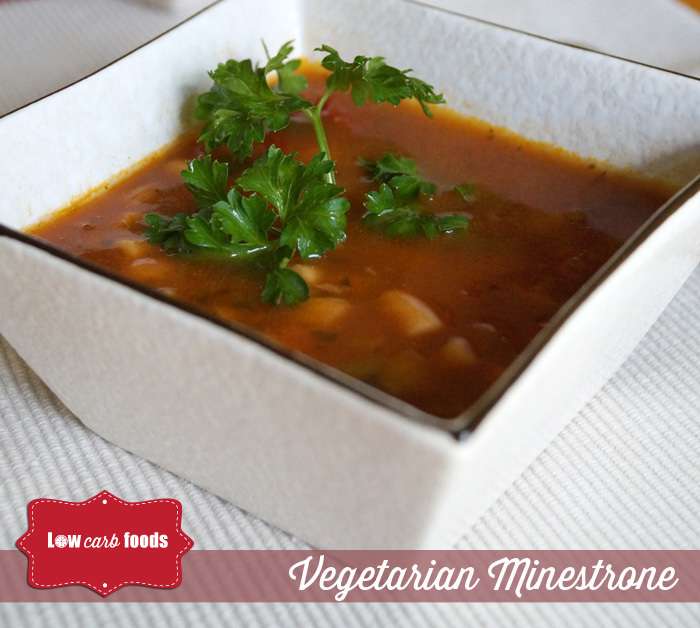 Reduce the heat and simmer the soup slowly until the vegetables are tender (about 25-30 minutes). Add more liquid if necessary (use either vegetable broth or water). 3. Add the pasta. Cook gently until the pasta is cooked and serve into soup bowls. Sprinkle with Parmesan cheese. 1. Combine the chocolate and 2 tablespoons water in a small saucepan and heat until chocolate melts. Pour into a medium bowl and cool. 2. Beat the egg whites until forming peaks and fold into the chocolate using a rubber spatula. Mix well. Beat the cream until stiff and gently fold into the chocolate mixture. 3. 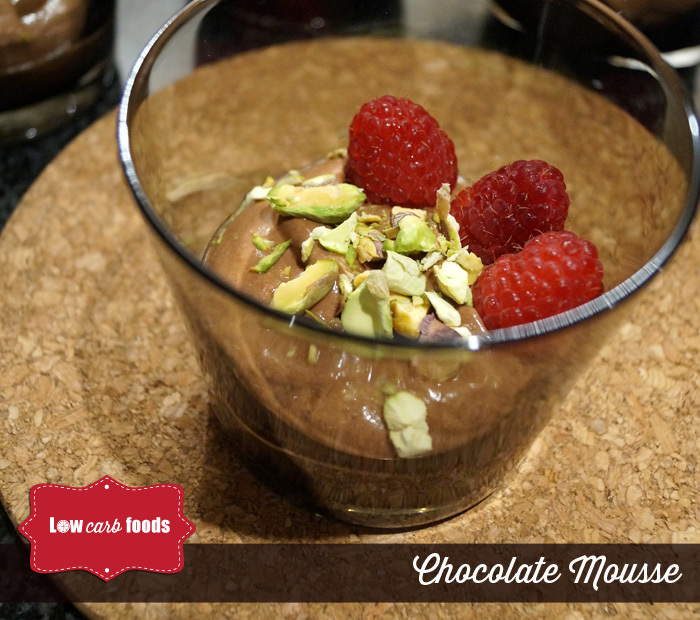 Spoon the mousse into 4 glasses and sprinkle with the hazelnuts and raspberries. Serve immediately or refrigerate until serving. 1. In a saucepan, heat 1 tablespoon of the oil over medium low heat and add the onion and garlic. Cook, until soft (about 5 minutes). Add the beans, broth, tomatoes, and salt. Simmer for about 15-20 minutes. 2. Rub the steak with remaining oil and salt. 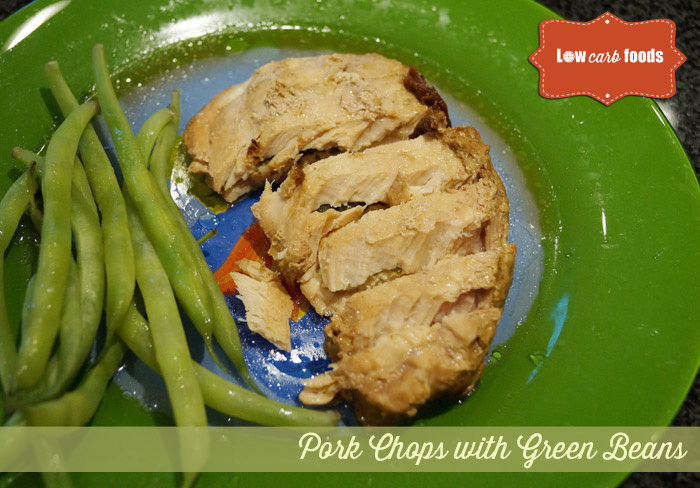 Grill or broil it for 4 minutes and turn to cook to your taste. Cut the stake into thin slices. Top it with the sauce. 1. Cook the salsa, the zucchini and the onion on stovetop until they are tender (about 5 minutes). Then add the eggs, salt and the pepper. To serve cut the omelet into quarters. 1. Wash and dry lettuce and cut in half. Slice into pieces or tear. Cut avocado and radish into pieces and mix with the lettuce leaves. Mix cilantro, chervil, tarragon, and parsley and scatter over the salad. 2. Wisk Dijon mustard, shallot, olive oil, and balsamic vinegar to blend. Season to taste and drizzle the salad with the dressing. Process vinegar and egg in a food processor (optional). Add oil while the motor is still running. Pour over the second dressing. 1. Mix cottage cheese, milk, green onion, dill, parsley, lemon juice, and pepper in a blender. Process until creamy. Chill in the fridge for 1 hour. 2. Peel carrots and cut them into 3-inch strips. Peel cucumber, remove seeds, and cut into thin sticks. 3. Serve the cottage cheese dip with cucumber and carrot sticks. 1. Cut each chicken breast into 4 pieces. Heat the oil in a skillet and fry the chicken pieces, until golden brown. Set aside. 2. In a clean pan add 1/4 cup water, the soy sauce, the lime juice and the garlic. Add the chicken and simmer (about 10 minutes). 1. Heat the oil in a cooking pan and cook the onion until crisp (about 2 minutes). Add spinach and tomato and cook for about 1 minute. 2. Then add the eggs, olives, salt and the pepper. Cook until the eggs are to your taste and serve. 1. In a large bowl, combine the cucumber, lettuce, tomatoes. Add the dressing to the salad and toss well. 2. 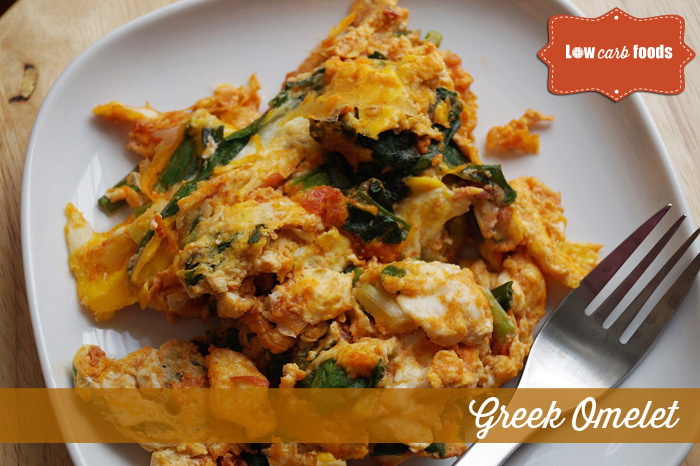 Top with eggs and feta cheese and serve immediately. 1. Whisk the egg white and add cayenne pepper, onion powder, and cumin. Mix well. Add sunflower seeds and pumpkin seeds. 2. Preheat the oven to 180 C, spread the seeds on a greased baking sheet and pour the egg mix over the seeds. Bake for about 6 - 8 minutes. 3. Cool the seed mix and serve with fruits of choice. Seeds can be stored in a container for 5 - 7 days. 1. Preheat the oven to 375F. Place salmon fillets in the center of the foil sheet and turn up the edges of the foil. 2. 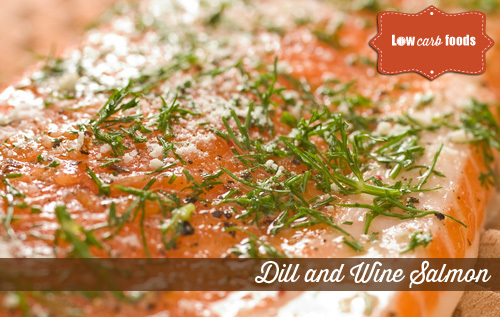 Top the salmon with lemon slices, dill, salt and pepper; sprinkle with wine. Cover the salmon with the second foil sheet and bake for 25 minutes. 1. Melt the butter over medium heat and add the salsa, cook for 1 minute and then add the shredded cheddar cheese and pickles. Stir in occasionally. 2. In a separate bowl beat the eggs. 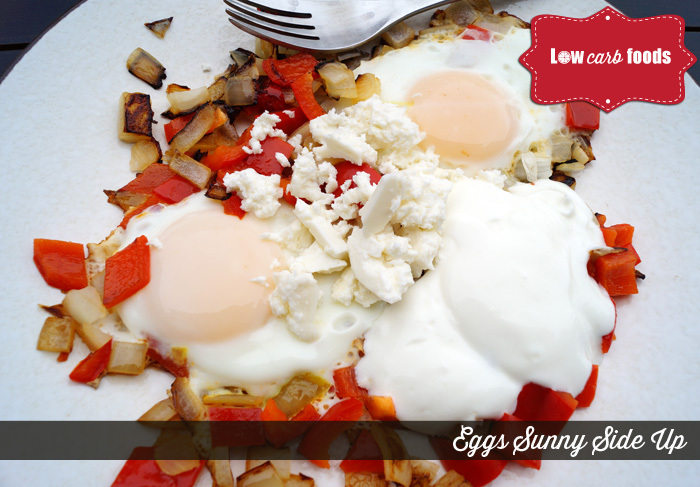 Add the eggs and cook until the eggs are to your taste and serve. *you can substitute the shredded cheddar cheese with shredded cheddar, monterey jack and mozzarella cheese mix. 1. Combine tuna, mayonnaise, pickle, and mix well. Spread cream cheese on the tortillas and add lettuce on top. 2. Then spread a layer of the tuna and mayonnaise mix. Sprinkle with parsley and shredded cheese. 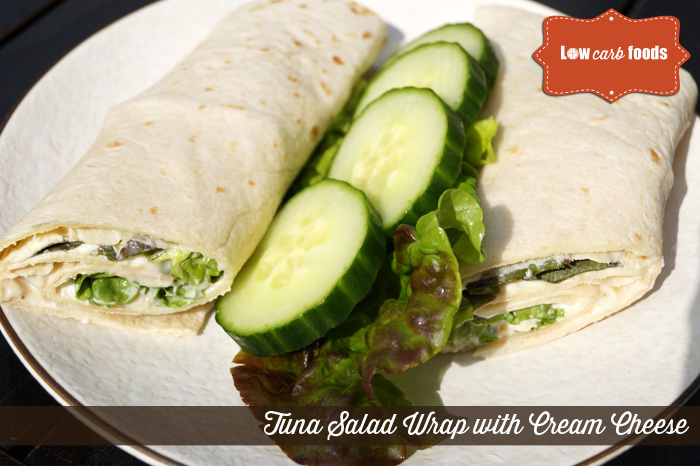 Roll the wraps tightly like a burrito and serve with a side salad (green salad or tomato cucumber salad). 3. Store in the fridge for 24 hours. 1. 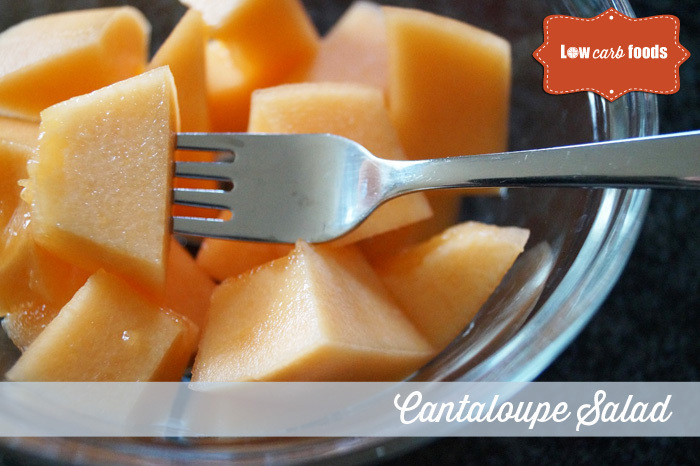 Cut the cantaloupe in half and scoop out the seeds. Cut into thin wedges and remove the rind. Cut crosswise into bite size cubes and place in a salad bowl. 2. In a separate bowl combine the lime juice, mint and honey and whisk. 3. Pour dressing over the cantaloupe and serve chilled. 1. Preheat a large skillet and add the butter. When melted stir in the onions, garlic and green beans. Cook for about 8 minutes. 2. Meanwhile broil the pork chops 5-6 minutes on each side. Serve the pork chops with the veggies on the side topped with sour cream. 1. Bring water to boil and boil eggs for 12 - 15 minutes. 2. Combine mayonnaise with shredded cheese. 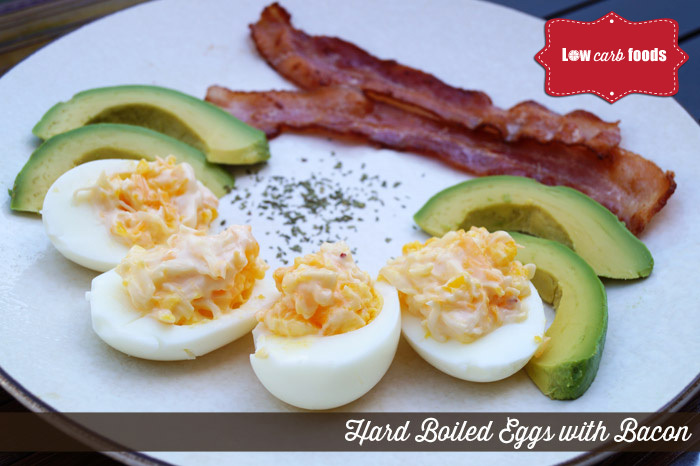 Cut eggs into halves and pour the cheese and mayonnaise mix over the egg halves. 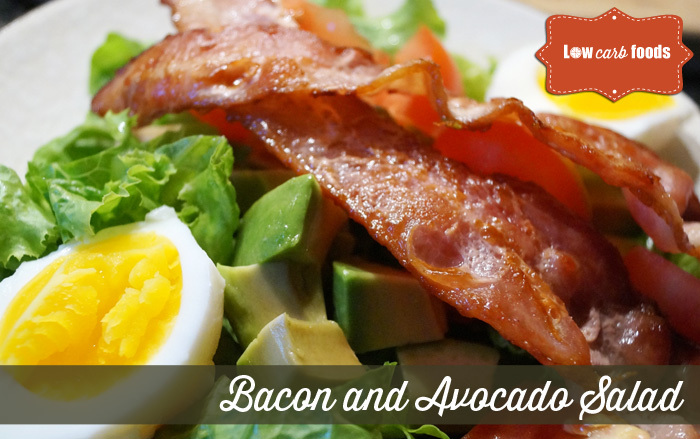 Serve with bacon and avocado slices. Heat olive oil in a skillet, brown meat, and set it aside. Saute onion for 1 - 2 minutes and add garlic. Cook onion and garlic for 1 minute and add beef broth, beef, thyme, marjoram, and carrot. Season with salt and pepper and simmer for 45 minutes. Add parsley, peas, and celery and cook for 30 minutes. Add tomatoes and simmer for 10 minutes. Adjust seasoning if more spices are needed. Serve hot. 1. Make cantaloupe balls using a melon baller. Cut kiwi and peaches into pieces. Add the melon balls, strawberries, cranberries, blueberries, and peaches in a bowl. Mix orange juice, lime juice, orange zest, and 2 tablespoons of splenda and stir to combine well. Pour the mixture over the fruits. 2. Add 2 tablespoons of splenda to cream and whisk. Divide fruits into 4 individual bowls and top with cream and mint. Chill for 30 minutes and serve. 1. Mix goat cheese, olives and spinach in a bowl. Heat olive oil and cook onion and garlic for 1 - 2 minutes. Season with salt and pepper and add to the goat cheese and spinach mix. Cut a pocket in each chicken breast and divide the mix between them. Cook for about 5 - 7 minutes in a skillet. Cook on each side and remove. Preheat the oven and place chicken breasts in an oven-proof dish. Cook for 30 - 35 minutes or until done. 2. Bring vegetable broth to boil and add parsley and thyme. Cook for 5 minutes and add lemon juice. Serve chicken breasts with sauce on top. 1. Preheat the oven and pour 1 cup of water. Add spinach and steam for 10 - 15 minutes. Season with salt and pepper. Let it cool for 10 minutes. Heat olive oil in a pan and cook garlic until softened. Process spinach and garlic in a food processor and add cream and lemon juice. 2. Crack in 2 eggs in hot olive oil and cook for 2 minutes. Spoon a bit of oil over the egg whites. Keep spooning for 3 - 4 minutes. Serve spinach puree with eggs on top. 1. Soak the beans overnight in a stockpot. In the morning drain the beans and cook it with 16 cups of water for about an hour or until soft. 2. Drain the beans again and add water, the ham, onion, garlic and carrot. Cook for about 10 more minutes on medium heat. Season to taste. 1. Combine sour cream, yogurt, and cream cheese and mix well. Season with salt and pepper and a little bit of lemon juice. Add cucumber, rosemary, and dill, and combine well. 2. Chill for 1 - 2 hours before serving. Cut celery ribs into 3-inch pieces. 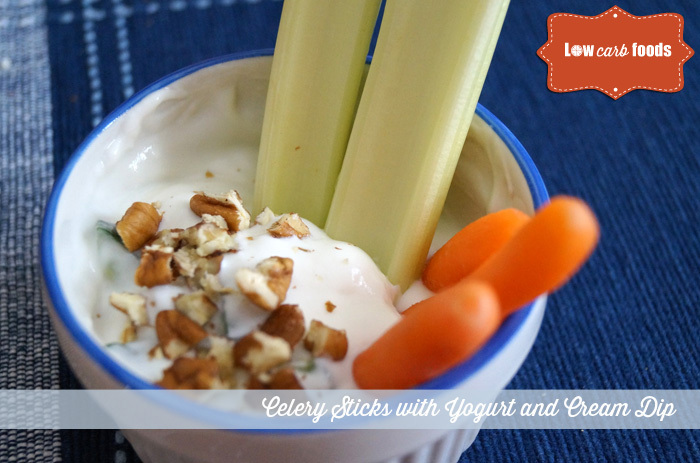 Sprinkle yogurt and cream dip with walnuts and serve with celery sticks and baby carrots. Store in the fridge for 2 - 3 days. 1. Preheat the oven to 220 C. Combine garlic, Dijon mustard, olive oil, salt, and pepper and rub the tenderloin with the mix. Roast for 35 - 40 minutes. Mix juice from the tenderloin with sour cream and pour on top. 2. Shred cabbage, grate carrots, cut red onion, and put in a large bowl. Add parsley. Combine yogurt, Dijon mustard, and mayonnaise. Pour the sauce over the salad, add cheese, and mix well. 3. 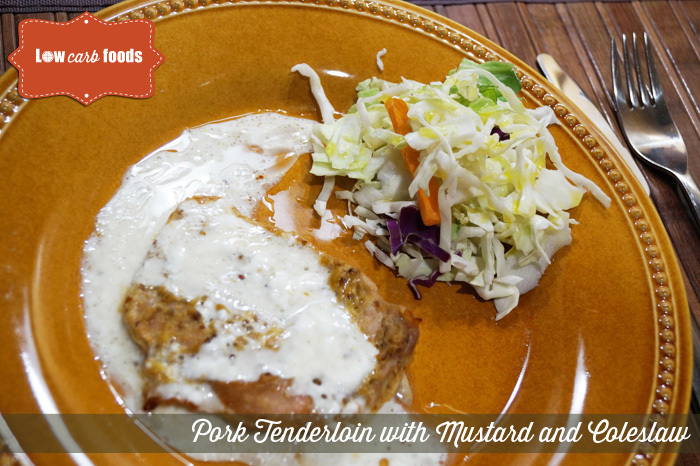 Serve the pork tenderloin with coleslaw. 1. Heat olive oil in a pan and add onion. Combine milk and eggs and whisk. Add asparagus and mushrooms to the onion and cook for 3 - 5 minutes. Pour in the egg and milk mixture and add salt and pepper. 2. Bake the omelet for 5 - 7 minutes and put shredded cheddar cheese on top. Allow cheese to melt and top with ham slices. 1. 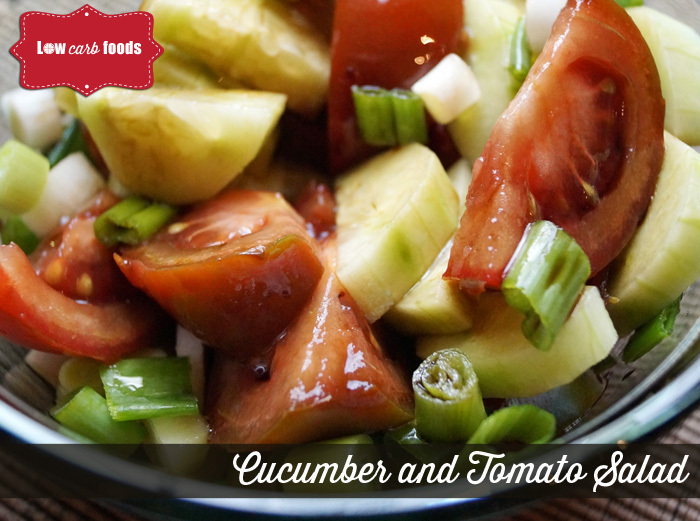 In a bowl, combine the cucumber, tomatoes, red peppers and onion. Add the dressing to the salad and mix. Top with feta cheese and serve immediately. 1. Preheat the oven and roast eggplant for half an hour. Let it cool and peel off skin. Puree eggplant, garlic, tahini, sesame seeds, and cilantro leaves in the blender. Add lemon juice and olive oil. Season with salt and pepper and sprinkle with herbs of your choice on top. 2. 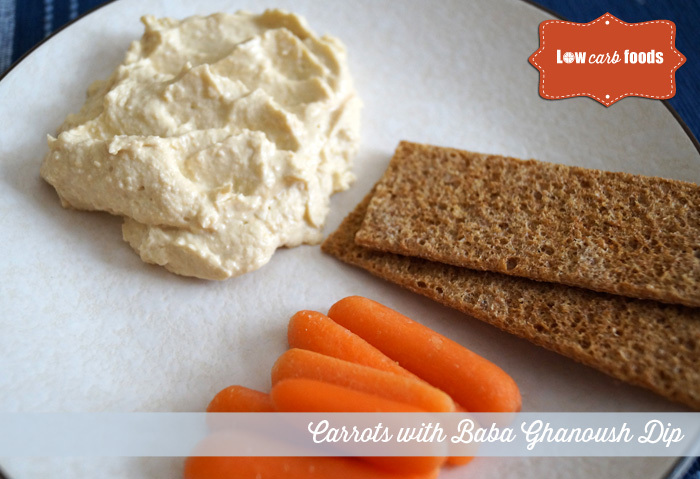 Cut carrots into pieces and serve carrot sticks with Baba ganoush dip. Store in the fridge for up to 5 days. 1. Combine mince, chopped onion, minced garlic, eggs, oregano, cumin, and parsley. Add grated cheese, salt, and pepper. Preheat the oven and make 15 - 20 meatballs. Roast for 15 - 20 minutes. 2. 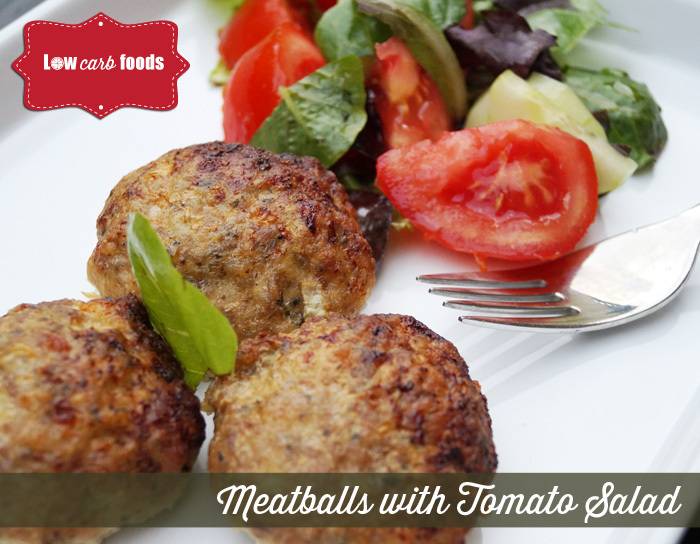 While the meatballs cook, cut tomatoes and cucumber into slices. Toss the salad leaves into a salad bowl and add the cucumber, tomato, green onion, and olives. Season with salt and pepper. Mix olive oil and mustard and whisk. Pour the mustard and oil mix over the salad. 1. Preheat the oven. Use a nonstick skillet to heat olive oil and 1 tablespoon butter. Add chopped onion and garlic and saute for 2 minutes. Add red bell pepper, season with salt and pepper, and cook for 5 more minutes. 2. Melt 1 tablespoon butter. Make 2 hollows - one for each egg - and crack the eggs. Once the egg whites begin to turn white, spoon a bit of butter over them. Cook for 5 minutes. 3. Sprinkle with basil and oregano and spoon yogurt on top. Serve with feta cheese. 1. Preheat the oven to 400 degrees. Cut the potatoes into wedges. Toss with salt and paprika and drizzle with oil. Arrange on a hot pan and roast until brown. 2. Grind salt, coriander, and cumin together and add brown sugar. Remove the pan and sprinkle the potato wedges with the sugar and spice mixture. Bake for about 5 - 7 minutes or until the potatoes are sizzling. 3. Chop the carrots and onion and cut the pepper into slices. Saute in a pan for 5 - 10 minutes or until golden. Add the minced garlic, beef stock cube, Dijon mustard, and tomato pure. Season with salt and pepper and simmer for 10 minutes. 4. Season the fillet steaks with coriander seeds and rosemary and pan-fry. Serve the steaks, potatoes, and sauce with green salad. 1. Mince garlic in the food processor. 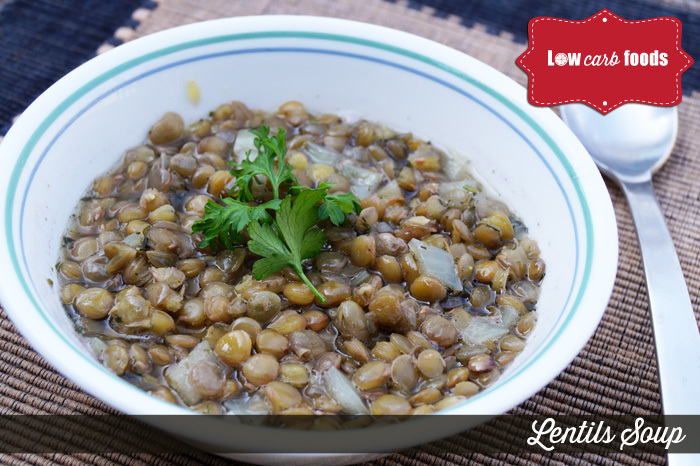 Add lemon juice, tahini, and chickpeas and blend well. Process the ingredients until smooth and add basil and red bell pepper. Blend until finely chopped. Add salt and pepper and pour in a bowl. Place in the fridge and refrigerate for 3 - 4 hours. 2. Serve cold or bring humus to room temperature. 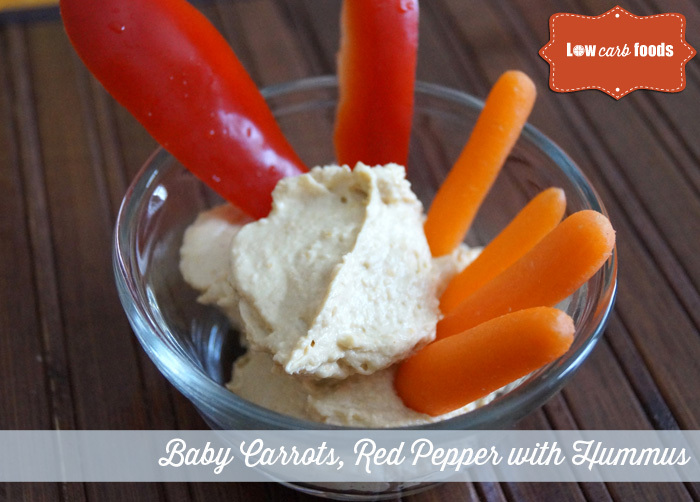 Divide into two bowls and serve with baby carrots. Garnish with parsley. Use an airtight container to store in the fridge. 1. Fry the bacon until crisp and set aside. Mix the salad greens with the cherry tomatoes, avocado slices and olives. Sprinkle with vinegar and the bacon. Serve. 1. Combine tomatoes, chicken, and dressing in a medium bowl. Cut avocado into thin slices. Line the tortillas with Swiss cheese, lettuce leaves, and avocado slices. Divide the chicken and tomato mixture and fill in the tortillas. Roll up tightly and chill for 3 hours. Cut into slices. 2. 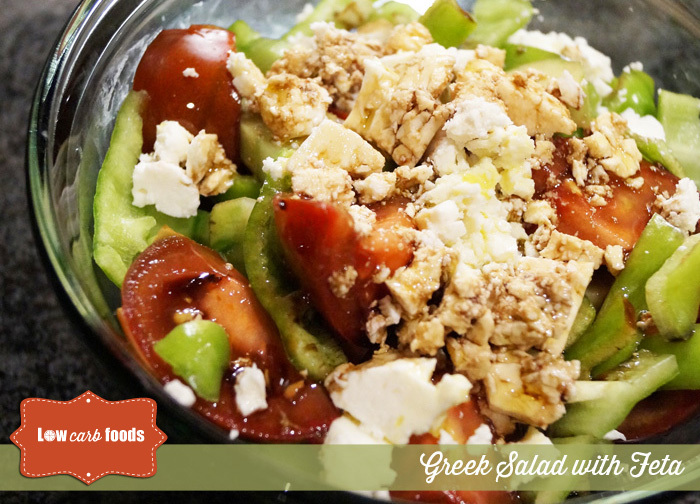 Place cherry tomatoes and feta in a small salad bowl. Combine olive oil, parsley, basil, and oregano and shake. Pour the mix over the salad. 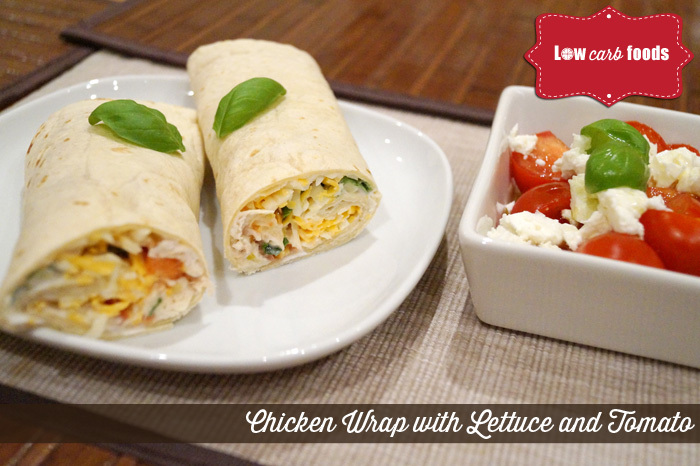 Serve the chicken wraps with the cherry tomato salad. 1. 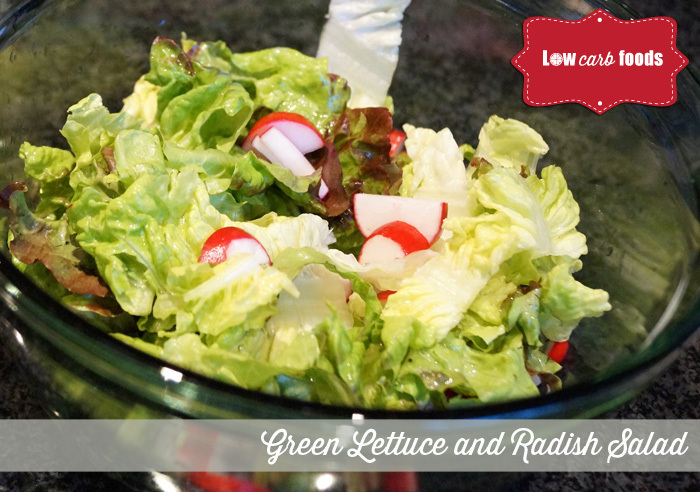 Combine in a bowl cucumber, lettuce, green onions, and radishes. Season with olive oil, vinegar and salt. Top with eggs and serve. Rinse celery stalks and scrape them. Cut stalks into pieces (3- or 4-inch thick). Put them in the fridge. Chill for 20 - 30 minutes before serving. Use a small bowl to combine cream cheese, yogurt, and cream and mix well. Add cucumber and red bell pepper and season with salt and pepper. Alternatively, you can replace cucumber and red bell pepper with half a cup of walnuts or pecans. 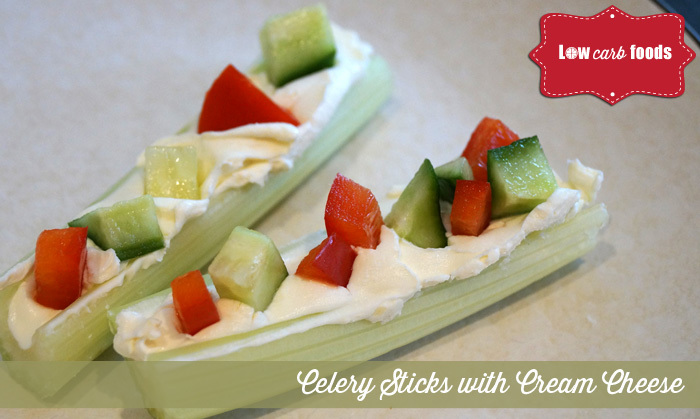 Stuff the celery sticks with the cream cheese mix or serve the sticks and cheese spread separately. Combine onion, garlic, olive oil, and lemon. Add salt and pepper. 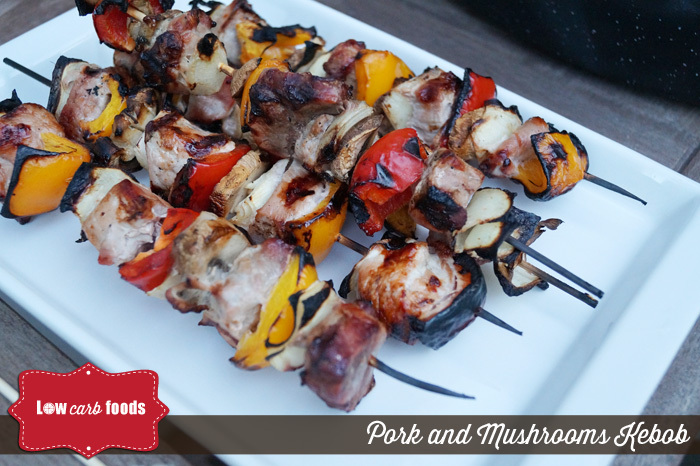 Thread pork, peppers, and mushrooms onto skewers and cook on a medium heat. Brush meat with olive oil and turn kebabs regularly. Brush with honey when cooked and spoon over the onion and olive mix. Serve with salad. Boil eggs for 12 - 15 minutes. 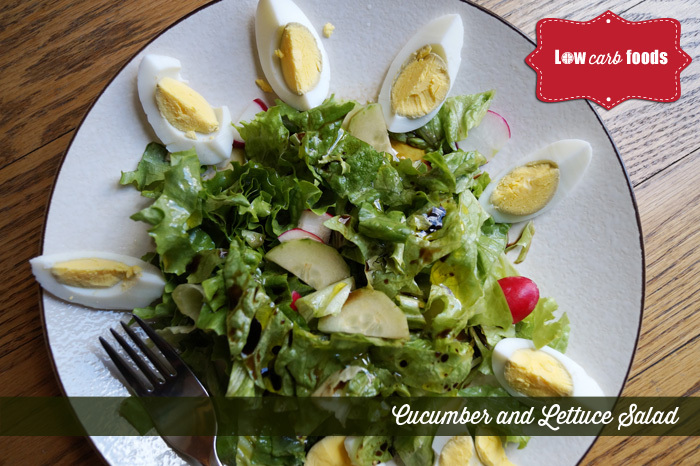 Chop celery and hard-boiled eggs. Drain tuna and combine with celery, eggs, and cucumber in a large bowl. Season with salt and pepper. Stir together olive oil, mayonnaise, lemon juice, and garlic. 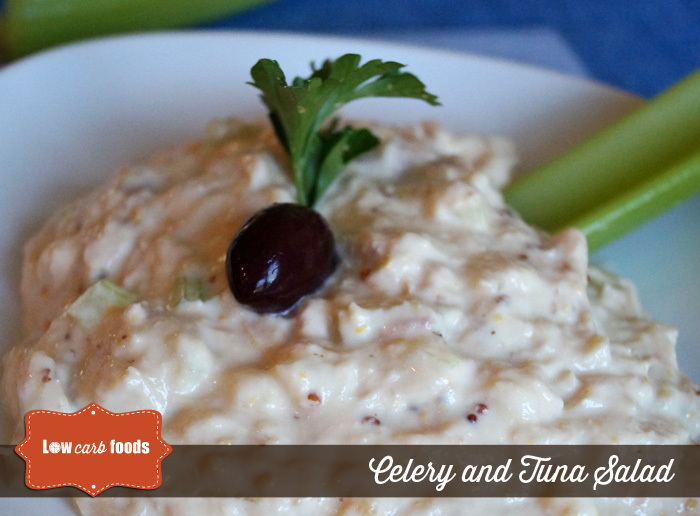 Pour the mix over the celery and tuna salad and chill for 1 hour. Divide into two plates and add celery leaves and olives on top. Combine shrimp, pepper, sesame seeds, and ginger to marinate shrimp. Put in the fridge in a plastic bag for 1 - 2 hours. Heat sesame oil and add garlic. Saute for 1 minute and add green onions, carrot, broccoli, and red bell pepper. Add soy sauce and cook for 3 - 4 minutes. Add 1/2 cup of water and marinated shrimp. Stir often until the vegetables are soft and shrimp is cooked (2 - 3 minutes). Season with salt and pepper and serve hot. 1. 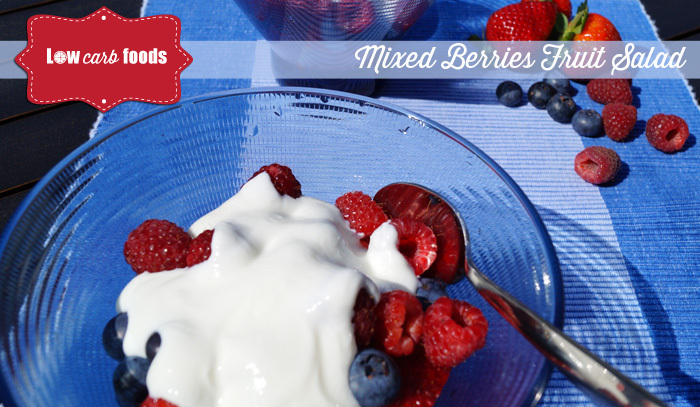 Combine strawberries, raspberries, and blueberries in a large bowl. Use a separate (small) bowl to combine orange juice, splenda and grated lime peel. Pour over the fruits. Place 6 bowls in the fridge. 2. Stir in cream and sour cream. Cool in the fridge for 20 minutes. Divide fruits into the 6 bowls and spoon the cream on top. Garnish with fresh mint and serve. Heat olive oil and cook onion and garlic until softened. Mix with chile and salsa. Put the chicken breasts in a baking dish. Pour the sauce over the chicken and bake for about 30 minutes. 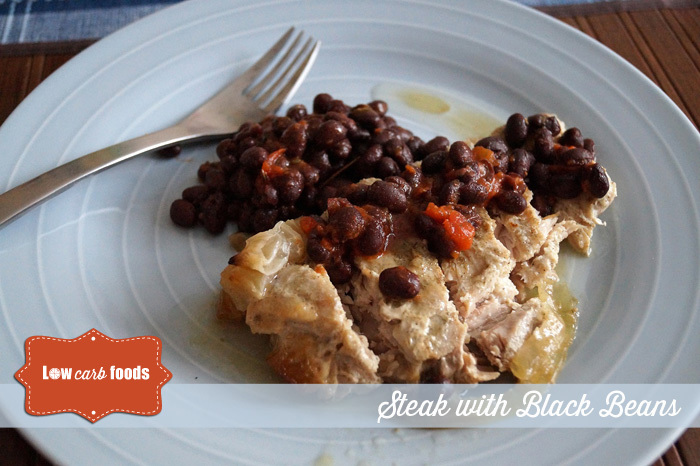 Add the black beans on top and bake for about 40 - 50 minutes. Top the chicken breasts with Monterey cheese. 1. Cut off the ends of asparagus and place in a baking dish. Season with salt and pepper and drizzle with a bit of olive oil. Bake for 10 - 12 minutes. 2. Melt butter in a skillet. Whisk eggs, spread beaten eggs in the skillet and bake for 5 - 6 minutes. 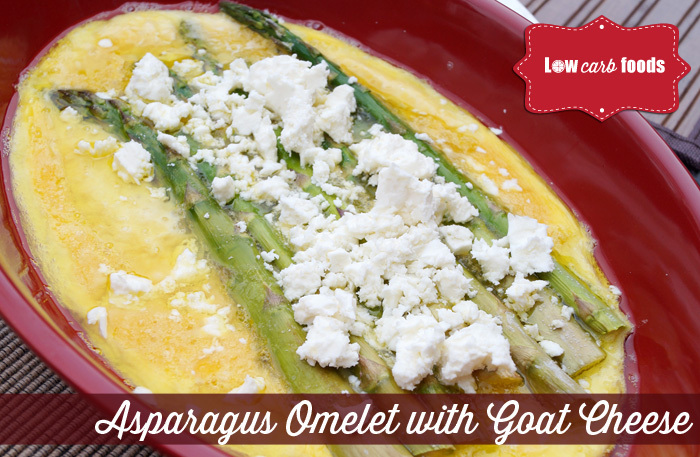 Add asparagus on top and sprinkle with mint and goat cheese. Fold in half and bake for another 2 minutes. Remove from heat, cover with a lid, and set aside for 2 minutes. Sprinkle with chives and serve. 1. Combine olive oil, sesame oil, garlic, mustard, and ginger to prepare the marinade. Season with salt and pepper. Pour marinade over beef and marinate for 6 - 8 hours. 2. Thread the mushroom halves and beef pieces onto the skewers. Cook on the barbeque and use the marinade to brush frequently. Cook for 8 - 10 minutes, brushing the beef pieces and mushrooms and turning occasionally. 1. 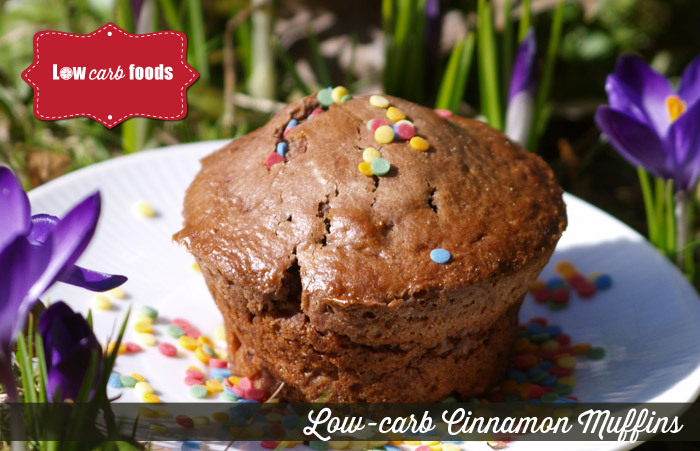 Mix flax meal, cinnamon, vanilla, orange zest, baking powder, and splenda. Add eggs and lemon extract. Do not use mixer or over-mix because the muffins may become dry. Leave the mixture for 15 minutes to thicken. 2. Butter the muffin tins and preheat the oven to 375 degrees. Add blueberries to the mix and fill all muffin tins. Bake for about 20 minutes or until the muffins are lightly browned. 3. Serve with fruits. Keep muffins in the fridge. 1. Cut spring onions and fillets into small pieces. Combine Ricotta cheese, cottage cheese, olive oil, lemon juice, and salt and pepper. 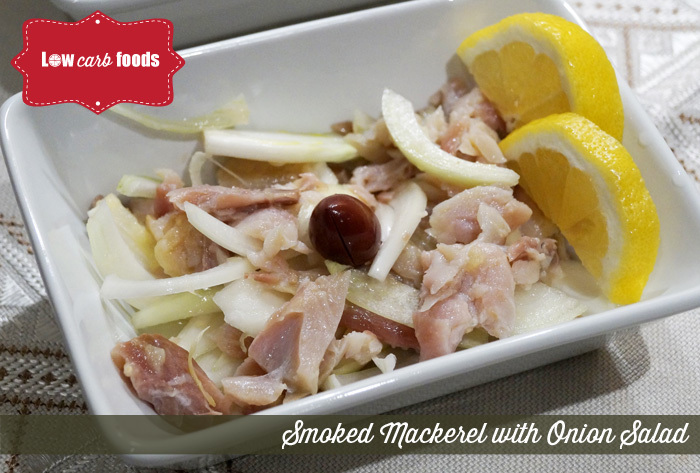 Add mackerel and spring onions and mix well. 2. Cut onion, cucumber, and tomato finely and add lemon juice. Season with salt and pepper and add coriander leaves. 1. Heat olive oil in a skillet and saute spring onions. Add spinach and stir until it has wilted a little. Season with salt and pepper and cook for 3 minutes. Pour in cream and shredded cheese and cook for another 2 minutes. 2. Brush the baking dishes with olive oil and add the spinach mix. Top it with a slice of ham and crack eggs on top. 3. Preheat the oven and bake for 10 - 12 minutes or until the whites look solid. Serve hot. 1. Combine salad dressing, garlic, olive oil, and pepper. Cut beef steak into pieces. Pour marinade over the meat pieces and soak overnight. 2. Drain beef. Thread peppers, mushrooms, and beef onto skewers. Mix olive oil, salt and pepper, rosemary, and thyme in a bowl. Sprinkle over peppers and mushrooms. 3. Grill kabobs for 12 - 15 minutes and baste beef with the marinade occasionally. Baste mushrooms and peppers with the flavored oil. Cook until beef is well done. 1. Heat butter in a skillet and saute celery and onion for 3 - 4 minutes. Cook until tender. Add carrot and mushrooms and cook for 6 - 8 minutes. Remove from heat and set aside for 10 minutes. 2. Use a large bowl to combine vegetables, cheese, almonds. Season with salt and pepper. Take wax paper and spread ground turkey, forming a rectangular shape. Spread the stuffing on top and roll meat and vegetables up. 3. Preheat the oven to 180 C and bake the turkey roll-up for 1 hour. Let the roll stand for 10 - 15 minutes, slice, and serve with salad. 1. Combine olive oil, lemon juice, honey, mustard, salt, and pepper. Marinade the chicken breasts, refrigerate for half an hour, and grill. 2. In a large bowl, cut the meat into slices and add corn, peas, and red bell pepper. Combine yogurt, mayonnaise, and Dijon mustard, add to the salad, and mix well. Sprinkle with grated cheese. 1. Cut the tomato tops and use a teaspoon to scoop out the flesh. Saute onion in a pan for 2 minutes and add garlic, salt, pepper, marjoram, and tomato bits. 2. Boil eggs for 12 - 15 minutes. Chop eggs and put them in a bowl. Combine mayonnaise, cream, butter, lettuce and cheddar cheese. Add to the chopped eggs and mix well. 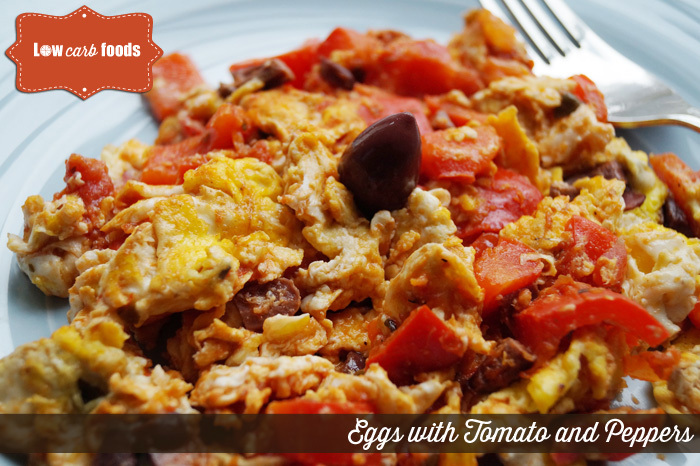 Fill in tomatoes with the egg and mayonnaise mix and place them on a platter. Sprinkle cheddar cheese on top of the stuffed tomatoes. Serve with the tomato sauce. 1. Combine yogurt, tarragon, thyme, cayenne pepper, onion, and paprika. Cut chicken into 8 pieces and soak overnight. Drain chicken using a colander. Use a plastic bag to mix salt, pepper, and almond meal. Place chicken pieces in the bag one by one and shake to coat. Heat oil in a skillet and fry for 10 - 12 minutes on each side. 2. Steam broccoli florets for 4 - 5 minutes and drain well. Heat olive oil and butter in a skillet and saute garlic. Add broccoli and lemon juice and season with salt and pepper. Cook for 3 - 4 minutes. Move to a serving dish and sprinkle with Mozzarella cheese on top. Serve fried chicken with steamed broccoli. 1. Combine ground walnuts and melted butter and press onto the sides and bottom of a cheesecake pan. Preheat the oven and bake for 8 - 10 minutes. 2. Combine ricotta cheese, cream cheese, and sour cream and mix in a blender until well combined. Stir in splenda, vanilla extract, lemon and orange zest, and eggs. Pour the mixture over the crust. 3. Place the cheesecake pan in a larger pan filled with water and bake for about 50 minutes. Chill in the fridge for 2 hours before serving. Serve with strawberries or blueberries. 1. Heat olive oil in a saucepan and add onion, garlic, red bell pepper, and carrots. Cook 5 - 7 minutes or until softened. Add water, lentils, basil, oregano, salt, and pepper. Cook for 15 minutes and add BBQ-ed chicken. Simmer for 20 - 25 minutes and add tomato puree. Serve hot. 1. 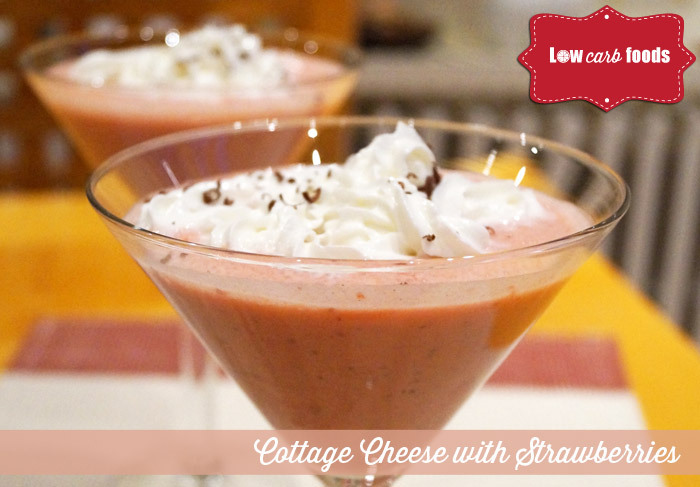 Blend cottage cheese, 2 spoons splenda, lemon juice, and 2 cups strawberries in the food processor. Divide into 4 bowls and refrigerate for 10 minutes. 2. Cut the remaining strawberries into halves. Combine whipped cream with 1 spoon splenda and whisk. Divide the strawberries into the 4 bowls and top with whipped cream. Garnish with shredded dark chocolate and a whole strawberry. 3. Put for 2 - 3 hours in the fridge and serve. 1. Cut tomatoes into thin slices (1/3- or 1/4-inch thick). Combine 1 egg, salt and pepper, and basil to prepare marinade. Marinate tomatoes for 30 minutes, remove, and add feta cheese on top of half of the tomato slices. Add olives and top with the remaining slices. 2. Crack the second egg, stir, and dip the "sandwiches" in the egg mix. Press both sides into the ground almonds. Preheat olive oil in a skillet and cook on both sides until slightly golden. Sprinkle with basil and serve. 1. Preboil broccoli florets in salted water and put them in a spider strainer. Pour in ice water and drain. Preboil green beans for about 3 - 4 minutes, remove from heat, add ice water, and drain. 2. Heat olive oil or butter in a skillet and cook onion and garlic. Let it cool for 3 - 4 minutes and add Dijon mustard and lemon juice. Season with salt and pepper. 3. Preheat the oven and place broccoli florets and green beans in a baking dish. Pour over the mustard and lemon mixture. Cover with foil and bake for 5 - 7 minutes. Serve immediately. 1. Mix white pepper, salt, garlic, vinegar, and oil in a bowl. Blend sour cream and yogurt and combine the yogurt mixture and olive oil mixture. Peel the cucumber, dice, and salt. Add the diced cucumber and dill leaves to the yogurt mixture. Season with a squeeze of lemon juice. Chill for 2 - 3 hours. 2. Layer the slices of cheese and boiled ham on the tortilla wraps. Add the tzatziki sauce and roll up tightly. Each form and document on the Site should be treated as a guide or starting point and should not be considered a substitute for professional and/or medical advice. The Site and its contents is provided with the understanding and agreement that Art Branch and its Affiliated Parties are not engaged in rendering any professional services. If expert assistance is required, the services of a competent professional should be sought. User assumes all responsibilities and obligations with respect to any decisions or advice made or given as a result of the use of any form or document and for the selection of a form or document to achieve User's intended results.